How hands-free AV control will revolutionize medicine and improve patient outcomes. The “internet of things” is a fascinating way to envision the future. We are in the middle of witnessing a significant change in computing where every electronic device is becoming internet aware. Having dozens of sensors and devices around our homes, cars and work are driving endless amounts of data and inspiring a new generation of innovators. While the development of new smartphone and tablet technology commands a lot of attention, behind the scenes we are seeing things like internet enabled toothbrushes and basketballs test the limits on how much extra value-add we need in our lives. It is no secret that consumerization is driving technology into the workplace at an unprecedented pace. In the healthcare industry you don’t have to look much further than CES (Consumer Electronics Show) to get a sense where things are headed. Looking specifically at the OR environment, it is interesting to look at how wireless AV systems and gesture-controlled technologies will revolutionize medicine and improve patient outcomes. Surgeons will be able to view images and other content as well as seamlessly communicate in real-time with experts around the globe. 1. 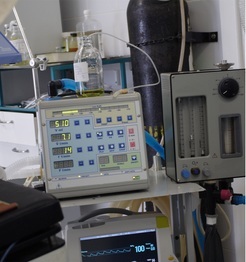 Surface computing – Integrating new technology into the OR can be a challenge for integrators. The lack of space, flexibility and power make this a unique environment. Surface computing takes advantage of super thin, strong and bendable glass and will replace walls, counters and even floors with viewable touch screens to interact with content. 2. Wearable computing – If having a computer on every surface isn’t enough, having technology woven directly into clothing and shoes can provide an even more intimate way to communicate and access information. This moves with the medical personnel and allows a more fluid interaction with technology. 3. 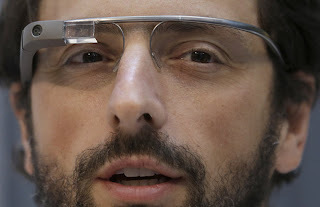 Google Glasses – A technology that will reach the consumer market in late 2013 will have an almost immediate impact in healthcare. Almost in the same way that iPads proliferated healthcare, I predict that transparent wearable glasses will provide surgeons with the latest research, techniques, and imagery in real-time. The ability to video tape and narrate from the eyes of the doctor and share seamlessly will revolutionize education and training. 4. Motion – With sensors built into clothing, surgical equipment and even the patient, new levels of insight into specific procedures and outcomes can be analyzed. Best practices may be multidimensional in the future – going far beyond text books and lectures. This also introduces the possibility of robotics – but that is too far out in time for this article. 5. Voice – A key technology in a hands-free environment is voice. With improvements in natural speech recognition, as well as expanding languages and accents, the OR will become an environment that can adapt quickly to different scenarios. 6. Gesture – The OR is an environment where gestures play a huge roll. Much of the communication between the medical team is of a non-verbal nature. Technology has improved significantly in recent years understanding hand, body and eye movements. Having sensors that are built into surgical devices and monitoring equipment that better understand verbal and non-verbal communication will improve automation in the OR. 7. Eye movement – It is rumored that eye tracking technology will be introduced in mid-March into the bestselling smartphone in the world. Augmenting voice and gesture recognition, eye tracking technology can drive new levels of sophistication – even in the most focused, hands-on moments of a surgery. 8. Location tracking – Similar to how GPS technology works outdoors, indoor location tracking can be used in a number of ways in the OR. Understanding who is in the OR and when will ensure that accurate scheduling is achieved, improving patient safety. Integrating these technologies in a safe, secure and frictionless way will provide levels of automation and measurement never before achieved. Studying OR outcomes, combined with “big data” analytics enabled by these hands-free innovations, will make today’s healthcare professionals better and will revolutionize medical school going forward. In the end, patient safety and improved outcomes are the primary objective. Several of these technologies are likely to make a remarkable difference in the efficiency and effectiveness of the OR in the next few years.